BRAZZAVILLE, Republic of Congo, June 4, 2011 (ENS) – Leaders of more than 35 nations covering the world’s three major rainforest regions agreed Friday to prepare an action plan on sustainable management of forests for signature next year at the Rio+20 Summit meeting in Brazil. The heads of state and government from nations across the Amazon, the Congo and the Borneo-Mekong forest basins met in Brazzaville May 31 through June 3 at the Summit of the Three Rainforest Basins. The gathering was backed by the United Nations as part of activities marking the International Year of Forests 2011. 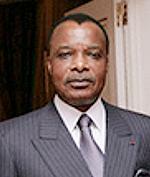 The conference was convened by President of the Republic of Congo Brazzaville Denis Sassou Nguesso, who said he is aware that tropical forests will be destroyed by illegal logging and climate change if nothing is done to protect them. “By reducing deforestation and forest degradation we can make significant progress in addressing the combined threats of climate change, biodiversity loss and land degradation,” Ban said in a message delivered by Abdoulie Janneh, executive secretary of the UN Economic Commission for Africa. In addition to the national leaders, delegates came to Brazzaville from intergovernmental agencies and funding organizations, international NGOs, and the International Tropical Timber Organization, an industry association. “WWF is encouraged by the joint declaration that emerged from the Brazzaville Summit, paving the way for a strong, cooperative agreement to be signed no later than RIO + 20, in Brazil, in 2012,” said Lasse Gustavsson, WWF executive director of conservation. The Rio+20 Summit comes 20 years after the landmark 1992 Earth Summit in Rio de Janeiro where leaders of more than 100 nations signed the Convention on Climate Change and the Convention on Biological Diversity, endorsed the Rio Declaration and the Forest Principles, and adopted Agenda 21, a plan for achieving sustainable development in the 21st century. Gustavsson said now it is up to the new generation of leaders to use their agreement at the Brazzaville Summit to protect the three largest expanses of tropical rainforest. “The governments must now use the momentum gained at the summit to continue to move towards development of green economies and to strengthen their commitments, set concrete targets and take action to preserve their forests from further deforestation and degradation,” he said. “With south-south leadership on forest conservation, these forests can continue to provide livelihoods and cultural identity to tens of millions of people. Their leadership will help prevent and mitigate the impacts of climate change,” Gustavsson said. Today, over 1.6 billion people are dependent on forests for their livelihoods, according to a new report from the UN Environment Programme to be released Sunday to mark World Environment Day. 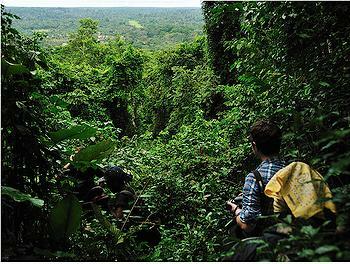 Rich in biodiversity, forests are also essential in supplying water to nearly half of the world’s largest cities. Yet despite these vital services, the world is fast losing its forests, with some 5.2 million hectares being cut down each year, the UNEP report finds. The “Forests in a Green Economy” report details the economic, environmental, health and social benefits of investing in forests and how better management of the “lungs of the Earth” can help achieve sustainability for communities across the world. Developing a Green Economy will be a key theme at the Rio+20 Summit in 2012 the UN General Assembly decided during a debate on June 2. In the three major tropical rainforest basins, the rate of rainforest losses is not increasing but declining, the UN’s Food and Agriculture Organization and the International Tropical Timber Organization said in a different report released at the Brazzaville Summit. In the three tropical forest basins – the Amazon Basin, the Congo Basin and the Borneo-Mekong Forest Basin of Southeast Asia – the rate of forest loss fell by 24 percent from the 1990s to the period from 2000 through 2010, the report shows. In total, the three basins reported an average annual loss in the 1990s of 7.1 million hectares per year which fell to an average annual loss of 5.4 million hectares per year between 2000 and 2010. The Amazon Basin suffered the largest net loss of forests, about 3.6 million hectares per year between 2000 and 2010, followed by Southeast Asia, which lost one million ha annually. In the Congo Basin, the conversion of forests to agricultural land was much slower, with a net loss of forests amounting to around 700,000 ha over the period 2000-2010. Less than 15 percent of the total forest areas in the three basins is covered by a forest management plan, and only 3.5 percent of the total forest area is managed in a sustainable way. Just over one percent has undergone certification. FAO and the ITTO emphasized that the potential value of the many goods and services provided by rainforests in the three basins outweighs the benefits that can be obtained from any alternative land use. 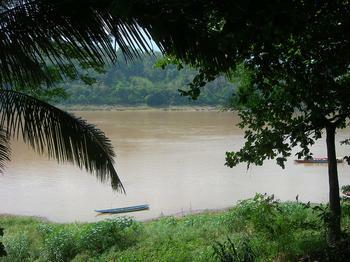 “Recent studies have found, for example, that the value of tropical forest services – such as carbon sequestration, biodiversity conservation and soil and water protection – could reach many thousands of dollars per hectare,” wrote Eduardo Rojas-Briales, FAO assistant director-general forestry and Emmanuel Ze Meka, ITTO executive director in their foreword to the report. The Amazon Basin of South America, the Congo Basin in Central Africa and the Borneo-Mekong Basin in South-East Asia make up 80 percent of the world’s rainforests and contain two-thirds of its biodiversity. Participants from the Congo Basin: Angola, Burundi, Cameroon, Congo, Gabon, Equatorial Guinea, Central African Republic, Democratic Republic of Congo, Rwanda, Sao Tome & Principe, Chad. 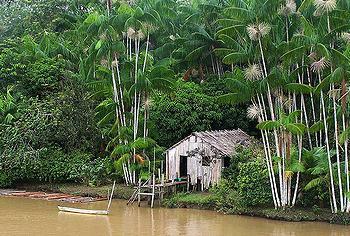 Participants from the Amazon Basin: Bolivia, Brazil, Colombia, Ecuador, French Guiana, Guyana, Peru, Suriname, Venezuela. Participants from the Mekong-Borneo Basin: Brunei, Burma, Cambodia, China, Indonesia, Laos, Malaysia, Papua New Guinea, Philippines, Singapore, Thailand, Vietnam. Other tropical countries: Argentina, Belize, Costa Rica, Cote d’Ivoire, Ghana, Guatemala, Guinea, Honduras, India, Liberia, Madagascar, Mexico, Mozambique, Nicaragua, Nigeria, Panama, Paraguay, Tanzania, Uruguay. Other partner countries: South Africa, Australia, Canada, Russia, Finland, France, Great Britain, Italy, Japan, Monaco, United Nations, Norway, United States.